1.Whether you are hosting a party event and are looking for terrific kids party favors or you just want to get somebody special in your heart the perfect gift,this crack swords will definitely put a smile on their face. 2.This sword is 26.5 inches long.Batteries are included and are easily replaceable. Our products undergo strict quality control measures to ensure that you receive swords that are in good working condition. 3.On/Off light up button feature creates a realistic light-up experience. 4.This is environmentally friendly, non-toxic and is designed to last for a long time. 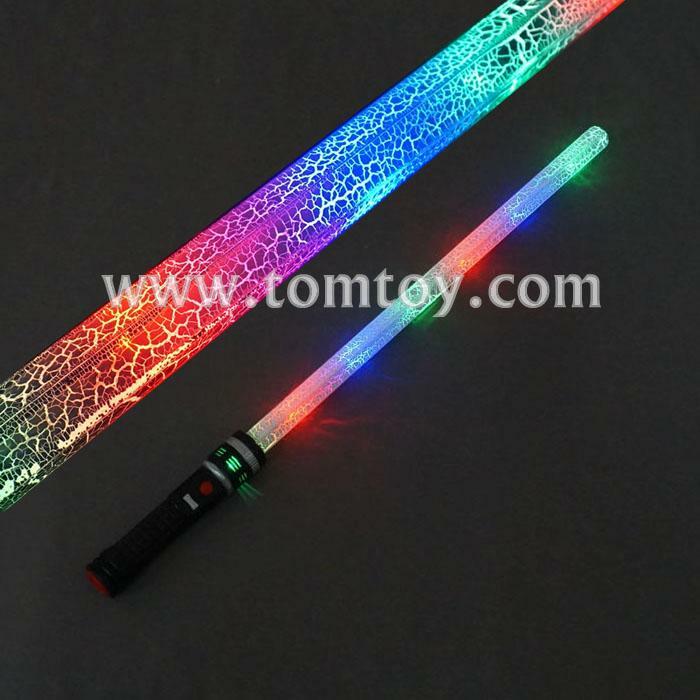 Easy to use, and absolutely amazing Light Up Sword product. 5.Great for birthdays, Halloween, parties, and much more.